So I bought my car from here. I started looking around for something that suited me had my heart very set on one car. While I found that car in what they claimed originally to be all wheel drive. Well a simple problem started with my lights just shutting off at night. So I go in and they look they tell me they will order a part and it will take less then a week to get. So a little over a week go by with no call so I go in myself and not only have they not ordered it they fired the old mechanic. So now I had to wait about another week. After that whole deal another week goes by and the brand new brakes they claimed they put in were starting to squeak. So strapped for cash I still went out and bought brakes for what I thought was an all wheel drive vehicle they sold me. Well big surprise I had bought the wrong brakes since it what I bought was rear wheel drive. So now I was pretty upset with this place. I go in and tell them they had lied to me and they one guy says no I told you its front wheel drive...He didnt even know what it was. I ask them if there is anything they could do since they had sold me something that wasnt what I thought it was. I had to fight just to convince them to look at my brakes and change my oil at least. Which I found out they didnt do anything cause once I left they said they couldnt see anything wrong with my car. Also the oil wasnt even changed. So I took it to another mechanic and he had told me the rotors where not change when they did the brakes. So $500+ after getting them changed I finally got it fixed. But these guys wont even give me a dime of that back towards my purchase. I was lied to and wouldnt trust them to send anyone their way. First thing off, I went to a dealership 4 months ago to finance a vehicle. Obviously, I was heartbroken because the interest rate that I was being offered was something I couldnt stomach. Last week Sunday, I came to this dealership to take a look at this +10yrs old vehicle that I found online. Not thinking of buying or signing my life away on anything knowing that I have bad credit history. This General manager named Ryan approached and told me professionally that he think Im better off with a used newer vehicle with low mileage than buying a +10yrs old vehicle that might breakdown on me in a next few months or years? who knows? I explained to him that I have a bad credit history and leasing or financing with high interest rate is a big no-no for me. I did give him an authorization to run my credit and shop around for a car loan. Which, in my head, I already made up my mind that this process is going to be unsuccessful. Guess what? He called me the next day with a much lower rate that I have in mind. I was thinking 30% rate. Ryan came up with 6.7% rate, RIGHT!?!?!? Ryan is a miracle worker! The following day, I came back to his office, traded my old car for a good price, signed the papers, and got myself a 2014 Ford Escape 4x4. Not only that! He also gave me a full tank of gas and movie tickets for a year(still waiting for it). Ladies and gentlemen! Please, save yourself some headaches and heartaches! Go to Legacy Cars located at 12473 King George Blvd, Surrey, BC and look for Ryan Patel. And, get your dream vehicle there! The best car shopping experience weve ever had! My girlfriend and I walked into Legacy Cars expecting the same rigmarole one usually experiences at used car dealerships: shady, slimy salesmen and aggressive sales pitches without taking our wants and interests into account. However, at Legacy Cars we had our best car shopping experience ever! We were greeted immediately by Milan who introduced himself as the Sales Manager and he immediately asked us what our expectations were regarding our purchase. He worked with us to find a good car that suited our needs. 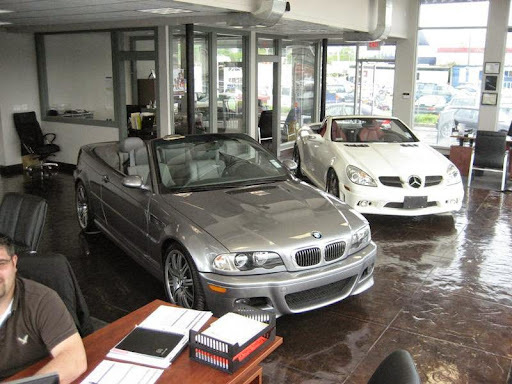 When we had additional questions regarding our purchase, the General Manager Jay, made us feel welcome and explained everything that was happening in a clear and concise manner. There were none of the fast-talking sales pitches we had experienced at other used car dealerships. After a little friendly negotiation, my girlfriend and I decided to purchase one of the newer cars on the lot and worked with Jeremy the Business Manager in setting up an easy and affordable financing plan without issue. The friendly and professional staff at Legacy Cars worked with us to find and finance the right vehicle, for the right price, as efficiently as possible. When we need to buy another car, we are definitely returning to Legacy Cars! A little back story. 2 years ago, I purchased a car from a different dealership and they completely screwed me over. Im a single mother, and I dont have a lot of cash. I dumped almost 4k into this car and finally gave up on it. Last night I was surprised with a car from my mother. She had been sneaky and told me that she was taking my car to test it to see if she could drive it to work and back so i could use hers for school and my daughter. She came home with a 2006 Pontiac G6. (If you know me, I adored Pontiac) She says to me, help me clean out my car, because we have to go get mine. We couldnt afford double payments before... I didnt understand how that happened. She explained the salesman, Ryan was amazing. He basically dropped the price to the bare minimum on my car, so she could get a new car too. (She needed one, this was not so impulsive) He worked with us on payments and even put a drive train warranty on my car. This place has restored my faith in honest people. They gave me collision records, etc on it. I could cry with how much I adore the car that they sold to me. I will gladly point everyone I know looking for a car, in their direction. They were all very helpful and friendly staff. These guys are the best salesmen in Surrey.